The next time you visit your favorite fast food joint, keep in mind that it pays to think outside of the box … or burger. What exactly do we mean by this? Well, aside from quite literally saving yourself some dough, you might be able to get a juicier combo, a crunchier taco, or fresher fries by following these simple fast food hacks most people don’t know about. Shhh. Keep reading to cash in on the secret sauce. 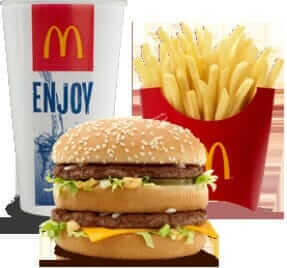 Order a McDonald’s Big Mac for the price of a dollar menu McDouble by asking them to hold the ketchup and mustard, and to add some lettuce and Big Mac sauce. Voila! Poor Man’s Big Mac. If you want to ensure your burger and fries haven’t been sitting for hours before you order them, make sure to visit any fast food joint during rush hour. The lines might be annoying, but food will be made fresh due to the constant orders. Another way to ensure you’re getting a fresh meal instead of a reheated one? Ask for a change or a custom meal. For example: if you’re ordering a burger that comes with mustard, ask them for one without mustard. Switch it up and they’ll be forced to make it fresh. While we’re on the topic of freshness, if you want your fries to be freshly made (aka: not soggy from sitting for hours under a heat lamp), ask for them without salt. Then, once you receive your order, salt them yourself with one of the small salt packets. If you’re ordering from Chipotle and want more meat for your buck, order half of two kinds of meat. Apparently, this can lead to you getting an average of 3/4 serving of each, which gets you more than a single serving. Simply order two junior-size roast beef sandwiches instead of one regular size. You’ll get more meat, in the end. 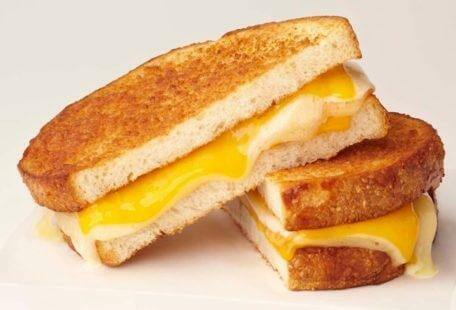 Apparently nearly every fast food joint can make a grilled cheese, even if it’s not only the menu. This is a fantastic option if you’re a vegetarian and can’t find anything else worth ordering. Simply ask them to put cheese between two slices of bread and grill/toast it, please. Have you ever ordered a burger at McDonald’s and received a beef-jerky-like bun with it? Avoid this by ordering a “steamed bun,” which is what they use on their fish sandwiches. These are almost always softer. Want an apple pie from McDonald’s … but could also go for a McFlurry? No worries. McDonald’s offers an apple pie McFlurry (complete with real pieces of apple), you just have to ask for it. Extra rice at Chipotle is free. This comes in handy when you need extra to feel full. Yes, this is real life. Order a “Cafe Misto” at Starbucks with one pump or chocolate and hazelnut, plus a caramel drizzle, and you’ll have yourself a jar of Nutella for breakfast (okay, not really, but close enough). This might not always work (it’s based on rumors, but hey, why not give it a go) but if you missed the 10:30 McDonald’s breakfast cut-off by five minutes, you might still be able to order the “Mc10:35.” This is a combination of the McMuffin and the McDouble. We can’t comment on how it is; you’ll just have to try it yourself. Tired of your Subway sandwich toppings falling out of the sides all the time? Ask for an “old cut style” sub and they’ll cut the sub in a V slice from the top, instead of horizontally. This creates a boat-like crevice for your toppings, so they stay put. 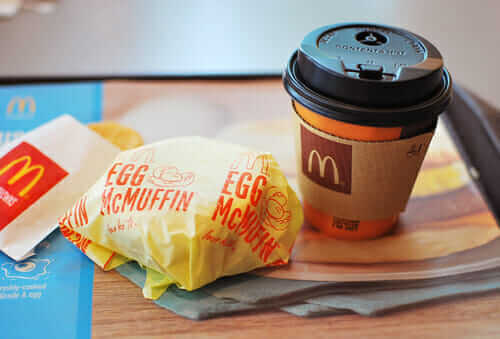 If you don’t specify what type of egg you want at McDonald’s, you’ll most likely end up with a “folded” egg patty that has been sitting, pre-made, under a lamp all morning. Instead, ask for a “round egg,” which has to be made with a fresh egg each time. The next time you order an iced coffee, ask for “light” ice; this will get you more coffee. Save money on the Hawaiian Honolulu Pizza by ordering a three-topping, large pizza instead. Top it with pineapple, ham, and bacon. Aloha, Hawaiian money-saver. 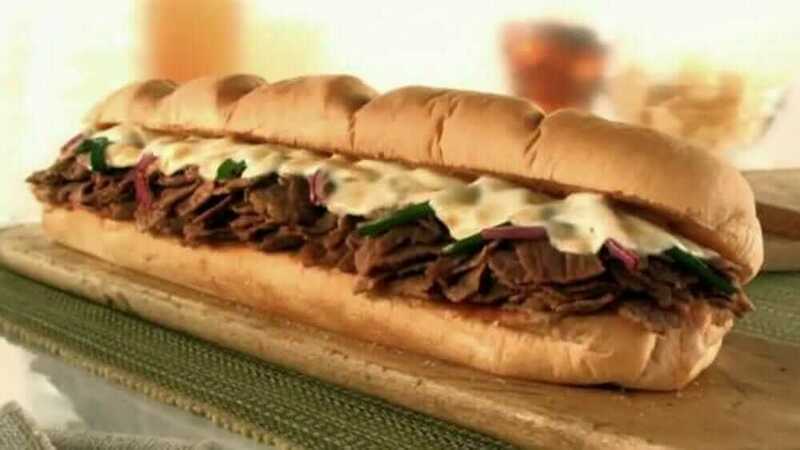 Order the Double Steak and Cheese instead of the Philly Cheese Steak at Subway to get more meat for less. Bonus: order it on a flatbread to make your sandwich longer. But only if it’s at Krispy Kreme: take their survey and you’ll get a code for a free donut. Order two shot of espresso over ice (remember, ask for light ice), then add your own milk and sugar to get an iced latte for less. Every smoothie is able to be customized from scratch a Jamba Juice. Choose any combination of ingredients you want, even if it’s not combined that way on the Jamba Juice menu. At Taco Bell, as for your taco to be grilled twice. This will give it extra crunch and flavor. Order McDonald’s nuggets in quantities of four. This is cheaper than buying them in bulk. Ask for your Starbucks drink to come in an “upgraded cup” to avoid spills and leaks. We have to admit: most of these are pure genius and are especially useful for those ordering fast food several times a week. Do you have any favorite fast food hacks you’d like to share? Let us know below.